I could not resist but to respond to your facebook status which implied that money in a relationship can not assure happiness or love. Well I am inclined to agree with you but I must tell you my story so that you understand why. I am a 56 year old woman and I am extremely happy in my marriage however that was not always the case. I was married at the age of 24, I was married to a man who was 12 years my senior. This man showered me with irresistible flattering compliments, with luxuries that only a few women ever get to experience. Let me break it down for you. I was a Muthaiga lady, I was part of the elite society, I can not mention the people I rubbed shoulders with but they were the cream of Kenya. My ex husband was wealthy not rich, rich people were considered poor in our social circles, this was old money. We lived in what I can only describe as a 8 bedroom Castle, calling it a mansion would be an understatement. We had 6 cars and the cheapest car was worth 5 million Kenya shillings, and we never had second hand cars all our cars were bought in cash from dealership showrooms in Nairobi. My ex husband was generous enough to grant me a monthly allowance of ksh300,000 excluding the two businesses in my name. In other words the allowance was for my hair and cosmetics. In the 21 years we were married I traveled to over 30 Countries around the World. All my travels were to shop and holiday, it was heavenly. But what I am not telling you is that despite the lavish lifestyle I was lonely, my heart was hollow, for almost two decades I would cry myself to sleep. I was emotionally abused by that man, he married a beautiful young girl and what he pursued to achieve was to break my spirit and self worth, and remind me that without him I would have amounted to nothing. Most of our public appearances were just a facade, we played the in-love couple but in reality love was never part of the deal. When I reflect back I see a young naive woman who was swept off her feet by a man who was looking to get married to a triumph girl, a girl he could show off and she loved the attention at first but it was short lived when reality checked in. The only regret I do not have because they are my blessing are my 2 grown up children. They love us both and I will never keep them from bonding with their father. As for me I left at my own will after I finally told myself enough is enough. Long story but I lost my businesses and I only left with my cherished possessions. I needed a fresh start. It was hard after my income was almost non-existent, and no more disposable cash. But somehow I survived. I eventually got a job and was sharing an apartment with a friend who I had initially dismissed due to my high lifestyle. It was then that I knew who my real friends were. None from my click of Muthaiga girlfriends even acknowledge me today, if anything they look down on me but guess what there was light at the end of the tunnel for me. Eight years ago I met a very humble businessman who did not try to impress me with money but just opened his heart and life to me and now he is part of my life as my husband. We have been married for 6 years. Maurice, I am so happy and loved that honestly words alone can not describe the genuine attention I receive from this man. We collectively earn roughly what used to be my allowance and we live well. We live in Kitengela, in our own 3 bedroom home and compound, and we only have one car between us. Life is about how much we love and appreciate each other. Whether we gain material stuff or not the most important thing is that we have each other and we support each other in everything we do. My husband wines and dines me willingly and with so much passion, he is a true romantic, very sentimental in character and I love him for all those things that he is. Above all I must mention that my husband is rich at heart, he is rich in the love he soaks me in, it’s so intoxicating and sweet. I never thought such love existed, maybe only in the movies. A friend once asked me if I miss my old life, she was referring to the lifestyle, and I confidently said ‘no I don’t’. I would not even want to live that level of luxury with my husband today because I saw it ‘first hand’ that a certain level of wealth is poisonous. Life becomes so artificial. Just to take you back a bit. I actually met you at a bridal shower years ago and one thing you said stood out and that was “men do not know how to love but they are good at caring for a woman who means something to them”, how true that is. When my husband says he cares for me I equate it to a million I love yous, I totally understood what you meant though I recall that many of the women at that bridal shower were disappointed by your comment. They failed to read between the lines, all they heard was that men can not love a woman which is not what you said. Truth be told us women can be shallow because we are so accustomed to hearing a man say ‘I love you’. Now I know better. I have the most caring and loving man that I could ever wish for and he tells me the truth whether it hurts or not but everything he does or says is for my own good. I am thankful that God gave me another chance at love and I am happy. Maurice, if my story can awaken one woman’s mind and save her from the ordeal I underwent I will have done something. In my opinion many women today are lost in the search for a provider and most of the time they want one who has spending power, how misguided they are. Only if they could allow themselves to grow with their chosen partner, that way they would gradually acquire the wealth together as a couple. I want you to know that at the bridal shower I watched you closely and listened to you attentively and what I read was a man who is incredibly passionate about his work. That’s great but please remember that you can’t save every soul out there, do what you can and hope that others will hear your message and take it upon themselves to make the right decisions in their life. Maurice, what an inspiring piece! I was married for 12 years to baba watoto. We went separate ways. To date, he ably n fully takes care of his responsibility, but then there is me…i got into a relationship with a married polygamous man. It lasted 3 years. He went on womanising despite his harem. I liked him coz he seemed loving and cared n supported me after i broke my marriage. But once i was in the ‘box’, all went south. He stopped caring for me, ceased supporting me financially and went on adding women to his list. It took a very long long time to decide to leave him, but i penned off eventually. I am 40. Met a man i had an affair with 20 years ago. My first love. Kind n very loving. He also married n unmarried. Though unlike my ex hubby and my polygamous lover, he is not loaded. Just a simple survivor like any other average kenyan. My lifestyle is kind of middle upper, coz of various factors like upbringing, married n even my ex polygamous lover was a rich man. I seem to be feeling nice about the prospect of reuniting with my first love. But i am skeptical about the financial status difference. Will it affect the relationship if at all i decided to venture? The fact of life is that everyone is seeking financial security. 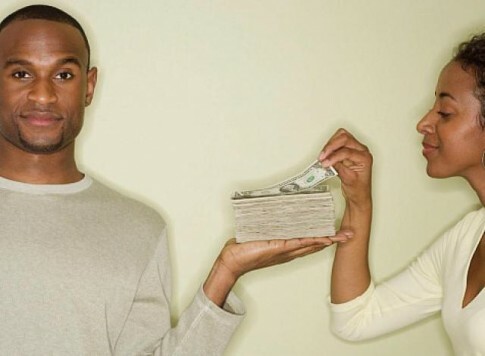 You need to ask yourself based on prior experiences ‘yes money is important’ ‘food on the table is important’ ….is your first love worth the time and effort? more to the point does he make you happy? Not everyone is seeking financial security. I just came into a ton of money and it is playing havoc with my social life. I can afford the home of my dreams but hesitate to take that plunge because, lets face t, not many eligible bachelors can handle a woman of means without hangups of the worst kind. My last relationship opened my eyes to the fact that a lot of men have forgotten that sometimes, a girl just wants to be a girl. In love with her man. Who takes care of her. Especially if she is a rich girl. For now I am maintaining as low a profile as I can hoping to find that one true love who will see me for who I am with or without the money. The fact that I lost both my parents ten years apart makes me feel somewhat disjointed – perhaps losing my father so recently spurred my desire to be wed. (Psych 101??) I just know I don’t like to sleep or wake up alone. My teenage son would also love to have siblings, and, yes, a father figure in his life. 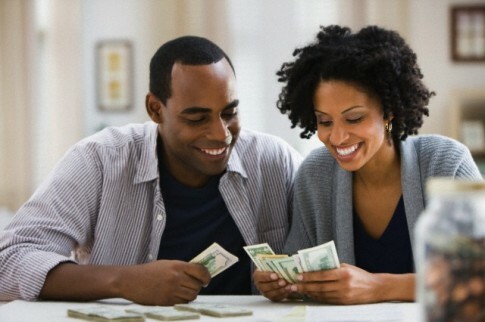 Guys – its not just women who are on the prowl for rich partners. When the tables are turned it is so much worse. Downgrading my preferred lifestyle so as not to daunt “dates” who are so on the cheap they balk at a Java coffee. Try sushi or a trip to Paris – Lamu even, to keep it local. I know what many of you are thinking…nope, I like my coffee black. I am so happy for the lady who had the courage to break her first marital vows and seek happiness. I just want my Mr Right – now. I won’t let him go, not for nothing, nor no-one. Thank you Maurice, tonight I took the time to read through a lot of your blog. You are doing an amazing job. I hope you find happiness, too, in a way that will fulfill what must be a great potential to love, and be loved.